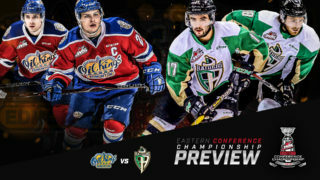 RAIDER REVIEW: The Raiders (23-25-9-2) open up a three-game trip through the Central Division tonight at the Enmax Centre against the Lethbridge Hurricanes (29-24-6-0). 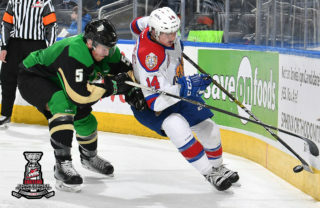 In their last game, the Raiders lost 3-1 to the Regina Pats at the Art Hauser Centre despite firing 38 shots on Max Paddock on Monday afternoon. The Raiders fell behind 2-0 in the first period. In the second, Brett Leason got back his team back within one with a wicked wrist shot. Late in the third, Parker Kelly nearly tied the game, but Paddock stretched out his pad and deny the effort. Shortly after, Matt Bradley scared into the empty net to end the game. VS. LETHBRIDGE: This is the third of four contests between the Raiders and the Hurricanes this season. So far, the teams have split the games with the home team coming out on top both times. 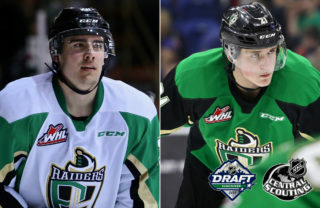 The Raiders are searching for their first win in Lethbridge since December 4, 2015. CENTRAL SUCCESS: The Raiders have been able to pick up points against the Central Division this season. They are currently on a nine-game point streak against their Central foes, compiling a 7-0-1-1 record in that stretch. TRIPLE THREAT: With his second-period goal on Monday afternoon, Brett Leason recorded his 11th marker with the Raiders this season. It also extended his goal-scoring streak to a new career high of three games. The former Tri-City American has 12 goals total to go along with 14 assists in 59 games. HOMECOMING: Centre Kody McDonald will head to his hometown of Lethbridge for the first time this season. The 19-year-old has a goal and an assist in six career games over three seasons against his hometown Hurricanes. POWER OUTAGE: The Raiders’ penalty kill continues to be one of the bright spots for the team this season. 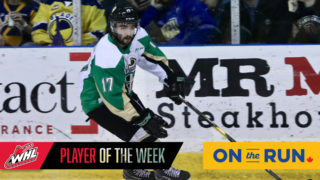 Prince Albert has killed off 11 straight penalties over the past four games. 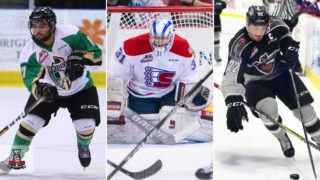 The Raiders continue to have the second best overall penalty kill in the WHL. NEXT UP: The Raiders continue their road trip on Friday night in Red Deer against the Rebels at the Enmax Centrium. Game time is 8 p.m. The Raiders return home on Tuesday, February 27 to wrap up the season series with the Brandon Wheat Kings. 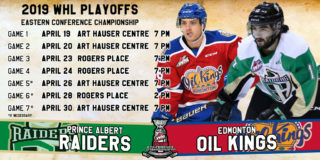 Tickets are available at raiderhockey.com, the Raider Office, or by calling 306-764-5348.